Tom Scholz’s attorneys argued that Delp’s personal problems led to his suicide, not the guitarist’s actions. 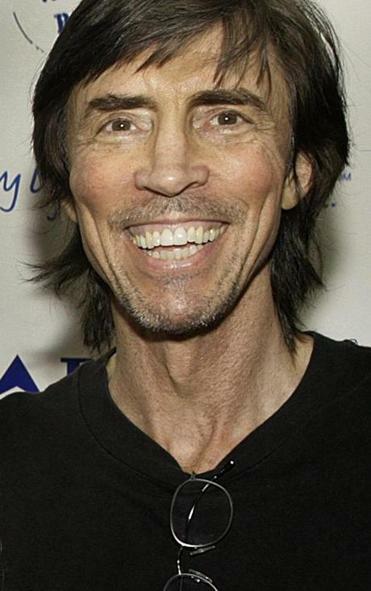 Tom Scholz, mastermind of the rock band Boston, has lost his defamation lawsuit against the Boston Herald and its longtime Inside Track writers Gayle Fee and Laura Raposa. The lawsuit centered on the question of what caused Brad Delp, Boston’s lead singer, to commit suicide in 2007. On Wednesday, Suffolk Superior Court Judge ­Frances A. McIntyre ruled that it is ultimately impossible to know what caused Delp to kill himself. Her decision ends three years of testimony that laid bare not only the complicated final months of the singer of such hits as “More Than a Feeling” and “Don’t Look Back,” but also the bitter band member squabbles that had lingered decades after the dissolution of the most successful version of the group. Scholz continues to record as Boston with various other musicians. After Delp’s death, the Herald published a series of articles by Fee and Raposa quoting Delp’s former wife, Micki Delp, along with unnamed sources. One Herald headline read: “Pal’s snub made Delp do it: Boston rocker’s ex-wife speaks.’’ Fee and Raposa reported that Micki Delp said the singer was “upset over the lingering bad feelings from the ugly breakup of the band Boston over 20 years ago’’ and “driven to ­despair’’ by recent changes in the band. According to McIntyre’s judgment, two unnamed insiders cited by the Herald were former Extreme drummer Paul Geary and car dealer Ernie Boch Jr. The latter’s own rock band includes former members of Boston who have long feuded with Scholz. Scholz sued, claiming that the Herald articles suggested Scholz was to blame for the singer’s decision to kill himself. In its defense, the Herald provided testimony from former Boston members, other ­local musicians, Delp’s doctor, and Delp’s friends, many of whom said the singer did not like Scholz, desperately wanted to quit the band, and felt tormented by his role as middleman in an ugly conflict ­between Boston’s founder and former band members. Scholz’s attorneys argued that the guitarist did not cause Delp’s suicide and that the singer’s personal problems — deepened by his fiancée’s affair in the summer of 2006 and the discovery of a hidden camera that Delp had placed in the bedroom of his fiancee’s younger sister — led to his suicide. McIntyre cited both arguments in her decision, but noted that a media defamation case requires “the falsity of an assertion” by the media to be proven. “Despite the amassing of powerful evidence of Delp’s mental state, the plaintiffs cannot prove or disprove the actual cause of his suicide. That secret went to the grave with him. Any views on the subject would necessarily be opinions,” ­McIntyre ruled. Boston’s 1976 debut album is the second biggest-selling ­debut in US rock history, with 17 million copies moved. It launched Scholz, Delp, and the band’s three other members — guitarist Barry Goudreau, bassist Fran Sheehan, and drummer Sib Hashian — into a world of sold-out arenas. But by the 1980s, only band founder, songwriter, and guitarist Scholz and Delp remained in the group. Over the years, Delp ­remained friendly with the former members, even as their ­relationships with Scholz worsened, spawning lawsuits. Pamela Sullivan, Delp’s fiancée, found him dead in the bathroom of his home in Atkinson, N.H., on March 9, 2007. The singer, who had suffered from depression for years, killed himself by lighting two charcoal grills and letting carbon monoxide overtake him.